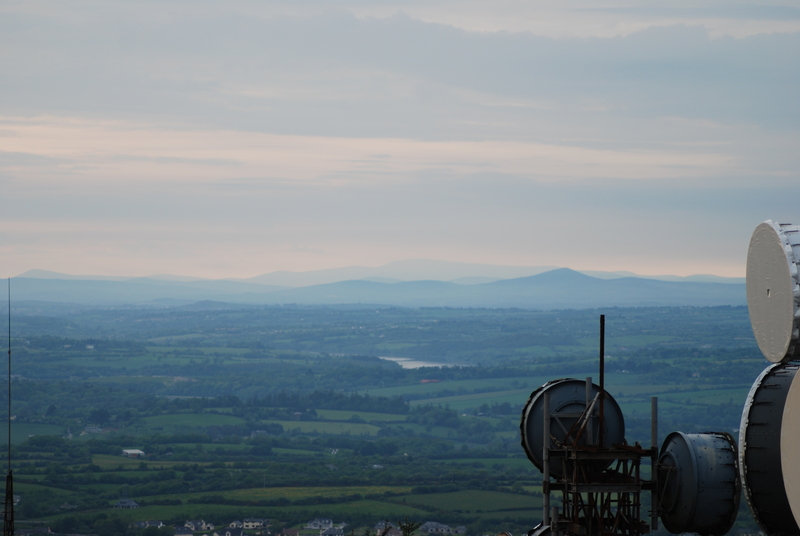 View from summit of Forth Mountain, Wexford, Ireland, to Lugnaquilla, Wicklow. Distances in miles. Photo credit: Thomas May, June 2008 (original).